The United States is home to the greatest concentration of private mints, and now MK Barz is joining that growing list of institutions. The popularity of silver and gold, as well as platinum and palladium, in recent years has driven demand high and the supply of these precious metals in refined form lower. With more investors looking toward safe-haven metals and collectors striving to expand their personal collection with pure metals, more refineries have opened up to meet this growing need. As the precious metals market continues to grow in the 21st century, the number of private minting facilities in the United States (in particular) continues to grow. The intense demand for silver, gold, platinum, palladium, and copper products has outstripped what sovereign mints alone could match, and a number of investors and companies are stepping in to fill the void. MK Barz is one of America’s newest private mints, and its selection of silver bars are now available online at Silver.com. MK Barz was just recently established in Los Angeles, California in 2014. The company works to provide specialized, hand-poured silver bullion and American coinage to customers in the United States and Canada. The company was founded by a primary owner who has been grading and collection, as well as hoarding, American silver coins for more than 35 years. The co-owner of MK Barz grew up in a family that owned and operated a foundry over the course of 32 years, specifically focused on refining bronze statues and awards. Today, the company provides a wide variety of products. 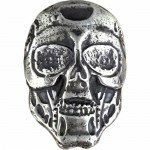 Among its most popular are hand-poured bars and bullion, but it also custom stamps and makes other silver bars, rounds, hearts, hexagons, and just about any other shape collectors might be looking for on that special gift-giving occasion. Silver.com is happy to carry the range of MK Barz products now in production from the private mint. The 2 oz MK Barz Glock Gun is a silver bar made from .999 pure silver. Each hand-poured bar replicates the appearance of an actual glock in a small, collectible silver bar. Although the term “glock” is used coloquially to refer to a singular gun, it is actually the name of a lineup of polymer-framed, short-recoil, semi-automatic pistols available in a variety of cartridge sizes. On the obverse of each 2 oz MK Barz Silver Glock Gun you’ll find the image of a glock in silver bar form. It features the main design elements of a real gun, without any of the operating pieces of functions of a real gun. The reverse of the Silver Glock Gun bar you’ll find a flat surface. Only the outline of the bar gives away the shape of a gun, with a matte finish and engravings that identify the mint, the weight, purity, and metal content of the bar. On the obverse face of each wafer bar you’ll find the image of a pirate skull with bandana over the top, complete with crossing swords behind the skull. 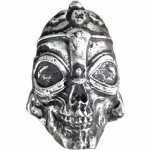 There are engravings on this face that include the bar’s metal content and purity, as well as the mint name. Pirates first emerged in the form of French corsairs patrolling the waters of the Mediterranean Sea during the Middle Ages. Strapped by tough economic conditions of the era, these men would loot any ship, or opposing ships of the French crown during wartime, for loot and survival. The concept of piracy spread around the world in the following centuries. 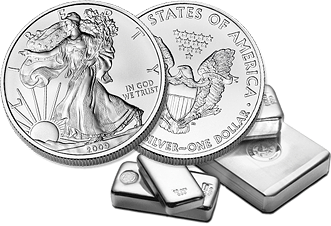 Silver bars are the most common form of investment in silver precious metals. 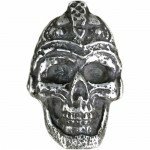 You’ll find silver bars in a wide variety of weights, sizes, and designs. In general, silver bars qualify as low premium silver products because most mints produce their silver bars with no specific quota impacting production. Most mints will strike bars to meet demand, making it easier to purchase silver bars at lower premiums. As you shop around, you’ll find silver bars available in sizes ranging from as small as 1 Gram to as large as 1 Kilogram and 100 oz. The standard sizes you’ll find across most product lines include 1 oz, 5 oz, 10 oz, 1 Kilo, and 100 oz. Keep in mind that the larger the size of the bar is you invest in, the lower the price per ounce you’ll be asked to pay. You have many payment options available to you to complete your purchase of MK Barz Silver Bars on Silver.com. We proudly accept Visa and MasterCard credit/debit cards, paper checks, bank wire transfers, and PayPal transfers. Each form of payment comes with different benefits. Paper checks come with the benefit of high maximum purchase ceilings and a 4% discount on your purchase price, but take up to six business days to process. Credit/debit cards, bank wire transfers, and PayPal transfers have lower maximum purchase, but each process faster than a paper check. Bank wire transfers and PayPal transfers often process immediately, with the former offering a 4% discount on your purchase price. Once your payment has cleared, your order is released to our fulfillment queue for shipping. All Silver.com products are shipped via the United States Postal Service or UPS with discreet packaging used to protect the identity of your products. 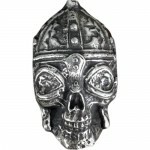 Silver.com offers an affordable, tiered shipping scale to ensure your products ship at a rate you can tolerate. All orders in excess of $3,000 include free standard shipping and insurance. If your orders are lost or stolen during shipping, Silver.com will work with the carrier to recover your shipment or file an insurance claim on your behalf to recover your funds. If you have any questions about MK Barz Silver Bars, please don’t hesitate to reach out to a Silver.com associate. You can contact us on the phone at 888-989-7223, connect with us online through our website’s live chat feature, or submit your questions to us via email.